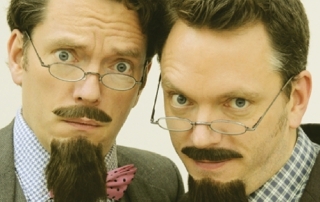 RadVentures, Radcliffe on Trent’s Arts Group kicks off 2016 by hosting more professionals on tour, this time it’s a riotously entertaining duo with very suspect beards! 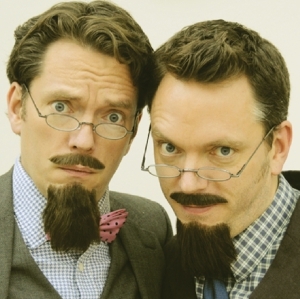 Come and join comic twins Prof. Victor and Dr. Albert for a lively, uplifting and hilarious evening of discovery. They’ll perform an A to Z of what makes us what we are on this tiny group of islands called the UK, and will invite the audience to help discover more ‘strange but true’ fascinating and quirky facts. Victor and Albert are skilled musicians with top quality singing voices. An evening of fun, comedy, games, music and songs with a touch of magic thrown in all guarantee a great night out.